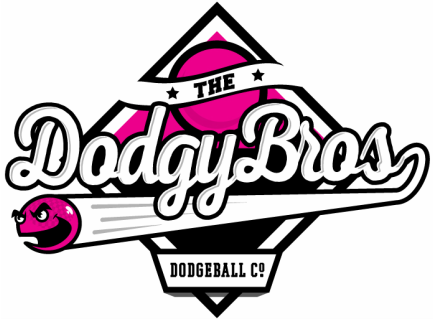 Brothers Jimmy & Mikee have created Dodgy Bros Dodgeball Company - Perth's Original Pop-Up Dodgeball. ​A completely new and fun event concept that can be adapted to suit any type of social calendar. 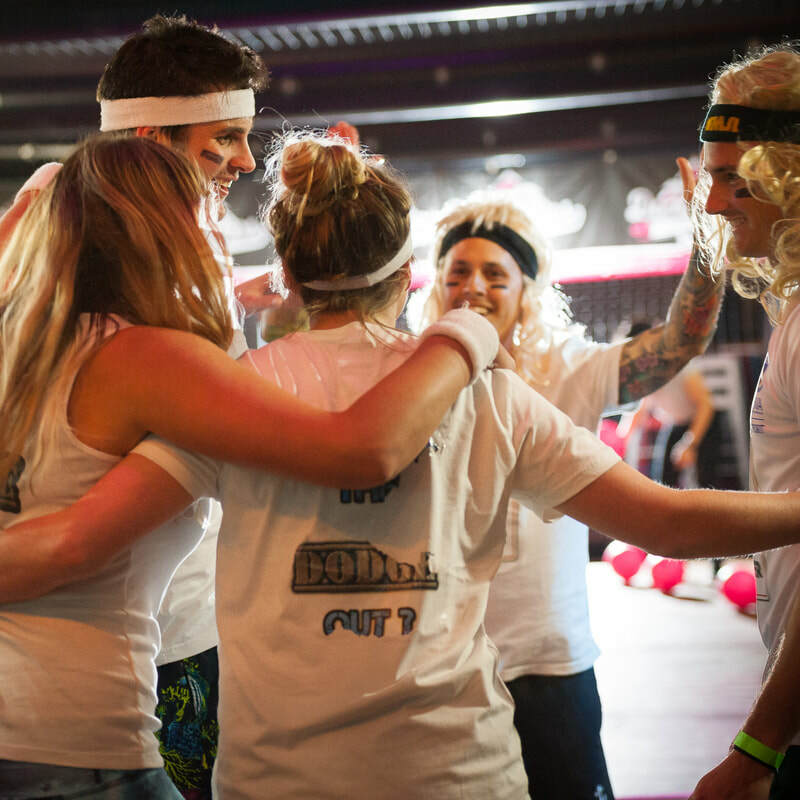 The Dodgy Bros are here to create a custom pop-up Dodgeball event just for you. Our purpose built inflatable Dodgeball arena can be put together inside a venue such as a function center or gymnasium and also easily setup outside using a park or oval, even a good size backyard. 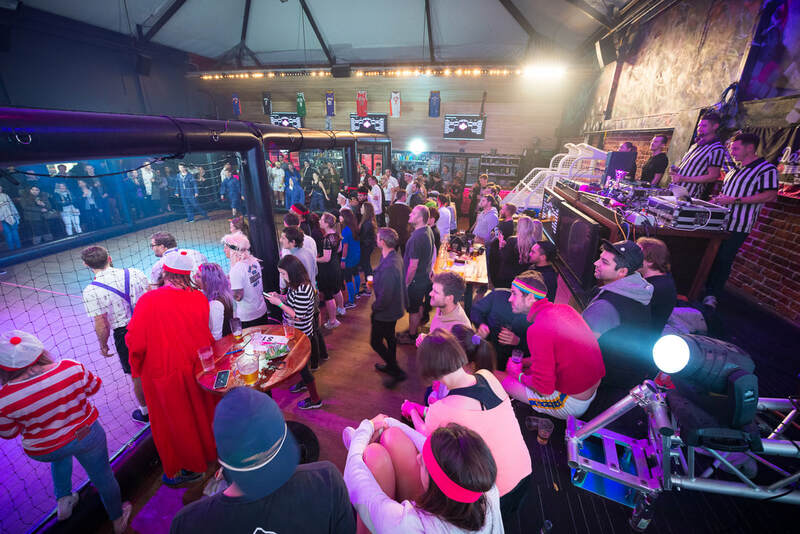 We also run our own "Dodgeball Jam" tournaments at The Game Sports Bar, check our Facebook page for up and coming events. ​Arena dimensions: 14m long x 7m wide x 2.8m high. Our most popular Game structure is "Tournament" where multiple teams of 5 go head to head in a Round Robin Tournament to battle it out for the prized DBD GOLD TROPHY and ultimate bragging rights. We are able to cater for up to 100 people in the standard package..
​Book for your next Corporate Event, Sports Club Social Calendar, Fundraiser, Birthday party, Bucks or Hens do... just about any event, it's guaranteed to please and have everyone who attends talking about your event! CONTACT NOW for pricing.